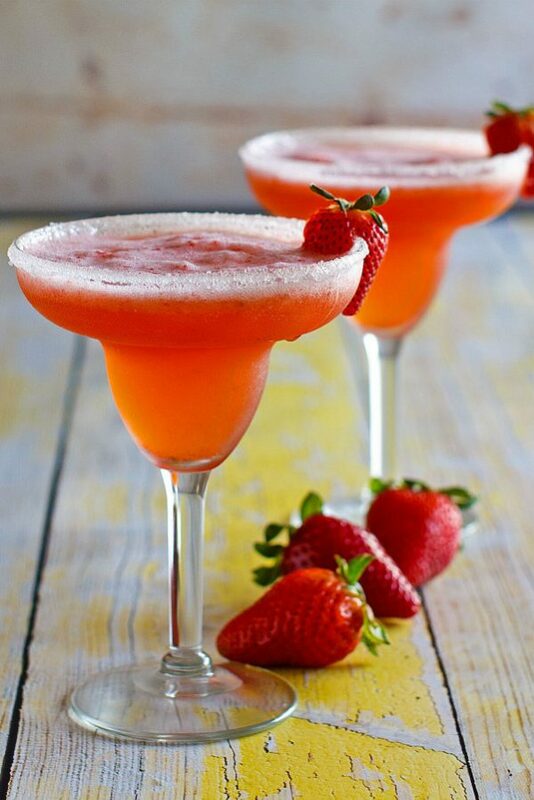 It’s time to make the best Strawberry Margaritas Recipe! Margaritas are the most refreshing drink of summer, and they’re a great cocktail choice for a party too. If you’re looking to make the best strawberry margaritas, start with fresh strawberries. 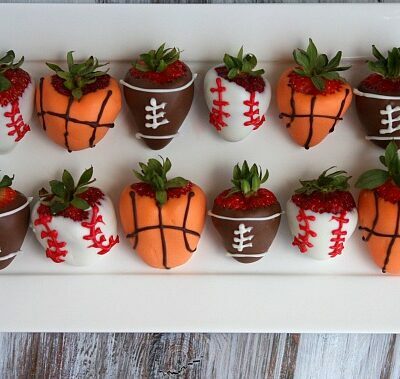 You’ll want sweet strawberries, so try to find some that have sweet flavor! It’s totally okay to use strawberries in this recipe that you wouldn’t necessarily pick up and eat because they’ve softened up a little. 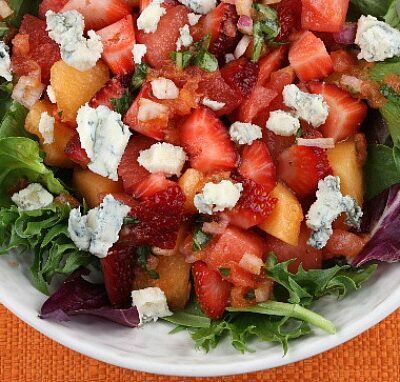 And if you must use frozen because you cannot locate good, fresh strawberries, then go ahead and pick up frozen. 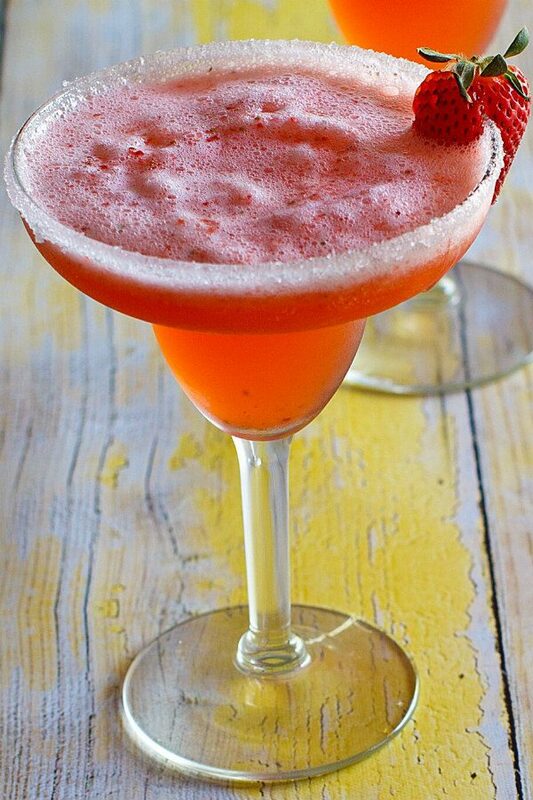 The base of this Strawberry Margaritas Recipe is Tequila, Triple Sec, Lemon Juice and Strawberry Schnapps. 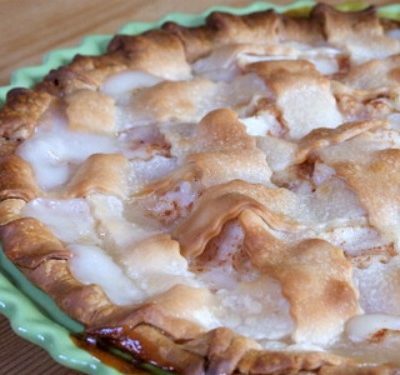 Schnapps is the secret ingredient here. 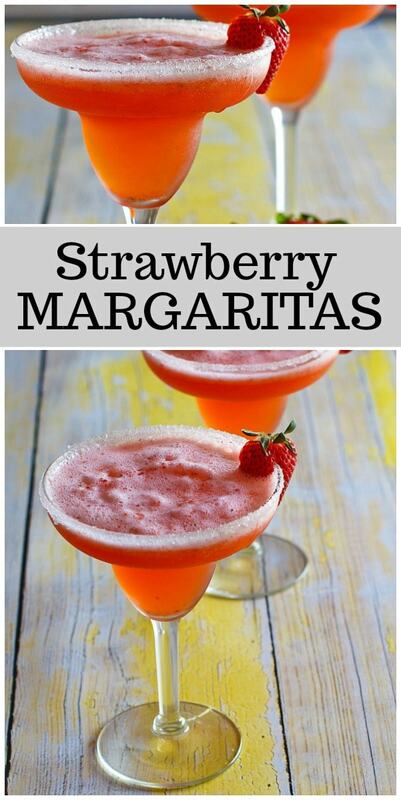 It’s going to put the flavor of your margarita over the top, and it will add another burst of that sweet strawberry flavor too. Look for Strawberry Schnapps in the liqueur section of your grocery store– where you would find the other sweet sipping liqueurs. What’s the best way to serve a margarita? I like to serve margaritas in margarita glasses, of course. But don’t fret if you do not own a set of margarita glasses. Short drinking glasses will work just fine. Rub the edge of the glass you’re using with some fresh lemon juice, and then dip the edge of the glass in either margarita salt or superfine sugar. Salt is traditional for a margarita, and sugar is an alternative if you’re making a sweet variety of margaritas (like strawberry). It’s totally up to you. Garnish your margarita glasses with fresh strawberries. Just slice into the side of the strawberry with a knife and slide onto the edge of the glass. Then these are ready to serve! This recipe makes four margaritas. It’s perfect for two people who would each like to consume two margaritas. Double or triple the recipe, as needed, to serve more people. 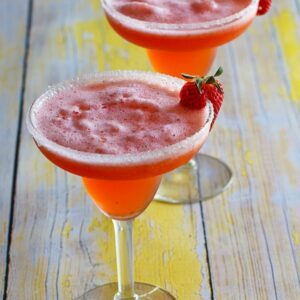 If you’re looking for more good cocktail recipes, you might like to try a Hurricane Cocktail Recipe or a Grapefruit Vodka Cocktail. Watermelon- Tequila Cocktails and The Hummer Cocktail are excellent choices too! A refreshing summer cocktail recipe! 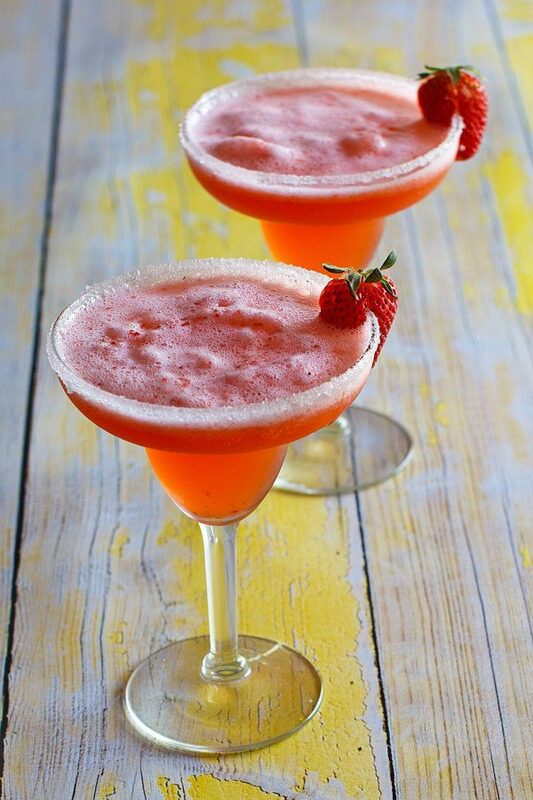 In blender, blend the strawberries, tequila, lemon juice, schnapps and triple sec. Add ice too if you want frozen margaritas. Otherwise you'll be pouring the mixture over ice. Dip rims of glasses in lemon juice and then into salt or sugar. Pour frozen margaritas into the glasses, or add ice and pour margarita mixture over the ice. Garnish with whole strawberries on the rims of the glasses. 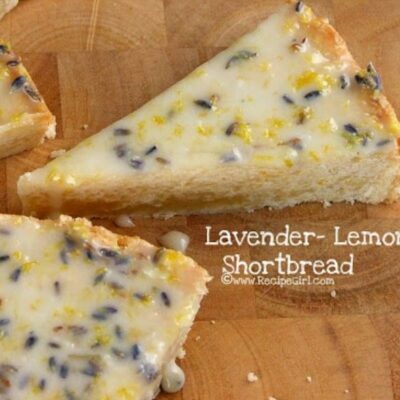 Looks so refreshing and perfect for the summer! We’re having friends over this weekend, I’m going to make up a big pitcher!